The dark-bearded fellow in the middle of the picture is bound to be Thorin (Richard Armitage). 😀 Also: Dame Edna has been cast in the film. Or, rather, her actor Barry Humphries has. One of the blokes from Jackass has died in a car crash, says BBC News. Ryan Dunn, for reference. I have no idea who he is, I’ve just heard of the show … and it doesn’t make me inclined to watch it. David Suchet has got a CBE and the Beeb are going to dramatise the big rows around Monty Python’s Life of Brian. Should be interesting. We went down for a weekend in London and saw it in March 2010, which I later wrote about here. It wasn’t half bad – I enjoyed the music – but it wasn’t half good either. Just surprised it’s closing down already, after just a year and a half, and also, I’m very curious about what the rewrites were. Anyone who has seen both and care to divulge? I arch an eyebrow at Sir Andrew, though, because he’s saying it failed because he couldn’t give it his full attention, due to him battling cancer. I’m truly glad he’s better now, but it sounds like a bad excuse, somehow. With hindsight we should have said, ‘Let’s put the whole thing on hold until I’m 100% again’. Frankly I wasn’t feeling very well. So why didn’t he? 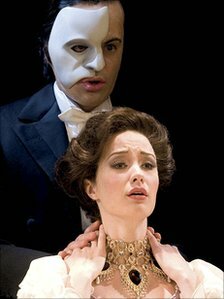 There was no real need for a sequel to Phantom, so that could’ve been put on the shelf a while longer and been written properly and he could focus all his attention on getting well again. Your health and your life is more important than a musical, Sir Andrew. Really. Green Lantern tops the US box office – saw it last night, review to follow. Hopefully tomorrow. In the Richard Armitage blogosphere, both Nat of the Richard Armitage Fan Blog and Mulubinba of An RA Viewer’s Perspective will be taking a break from blogging. 🙁 Really sad to hear about it, but sometimes you need a break, and they’re both very hard-working and deserve our support. Hoping they’ll stop by with the occasional post here and there as we’d miss them too much if they didn’t! I’m still trying to catch up with the blogs I follow (been a really hectic week), but I’ve gathered Calexora at Befuddled Musings has a great idea for a 40th birthday gift to Mr. Armitage. Check by her blog to see what it’s all about. 🙂 In case you missed bccmee’s gorgeous images in her Graphic a Day in May, you can still catch up with them after the fact. Last, but not least, look at the website address of the blog. It’s changed. It will now say http://www.thesqueee.co.uk instead of http://thesqueee.blogspot.com, but both will still work. 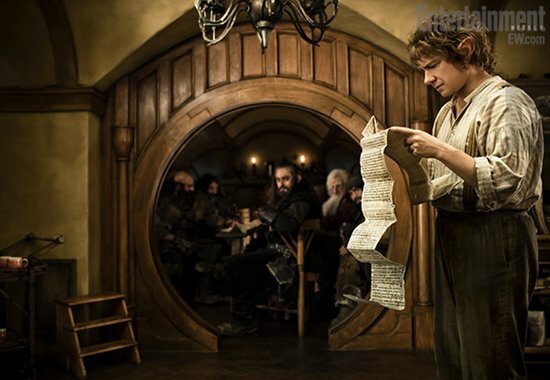 5 Responses to "So much news all of a sudden"
I am so excited for the Hobbit. It has a great cast and I enjoyed how Peter Jackson brought The Lord of the Rings to life! Thanks for the shout-out about the birthday book Traxy! And looking forward to your review of Green Lantern. I am very excited. I invested in this movie on the HSX back in, like, 2003 and it’s about time this show got on the road. I’m glad about David Suchet, I love Poirot and almost every character he’s played. Of course, goes without saying it’s great to see the first photos of The Hobbit and especially RA as Thorin. I think we have a good look that will please us, his fans, but also The Hobbit fans. Good for PJ.